Home/Adhesives News/Superior Finish Contracts and Uzin accomplish a quality flooring finish. The shop and information hub will assist people looking to learn more about the care and support services CKH provide to Peterborough residents as well as upcoming training opportunities, and self-service options for existing residents. The client required a mixture of flooring to be installed, all of which needed to be flat, level and flush at any intersections. For such an exact and precise project the flooring contractor Superior Finish Contracts Ltd decided to use UZIN products providing them with the confidence to accomplish a quality finish. Superior Finish Contracts Ltd were tasked to fit Modulyss carpet tiles to the office areas, Gradus Boulevard 5000 secondary matting to the entrance, Polyflor Arena safety vinyl to the kitchen and Polyflor Expona luxury vinyl tiles to the main areas. The very thin vinyl tile needed to be flush with the thicker carpet tile so as to avoid any potential trip hazards at doorways. As well as installing suitable trims at doorways, UZIN NC 163 smoothing compound was used to under the LVTs achieve this neat, flush finish. 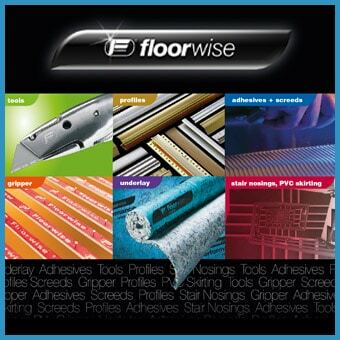 UZIN KE 2000 S pressure sensitive adhesive was used to install the luxury vinyl tiles and safety flooring. Whereas UZIN U 2100 tackifier was used to lay the carpet tiles and UZIN KE 2428 adhesive used to install the entrance matting. The resulting floor looks fantastic, all the more impressive given that it was completed in a very limited access area on a short time scale.